Northwest National Real Estate: Price Reduction! Own This Trailer Court! Price Reduction! Own This Trailer Court! Nice trailer court located on the forward edge of the Bakken Oil field is now for sale. 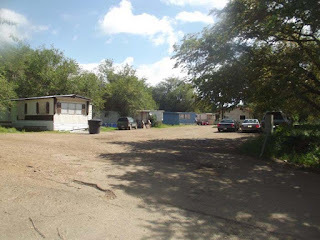 With 20 Lots, 12 trailers and a small house, all on 2.59 acres, this property is already producing great income. lots of extra potential included. Asking $249,900. Call Jon Svingen at 406-263-2113 or Helland Realty at 406-228-2114 for more information.